Led by our iconic $2.1 billion Campbell’s brand, our portfolio extends beyond soup to foods such as Pepperidge Farm cookies and Goldfish crackers; Arnott’s, Kjeldsens and Royal Dansk biscuits; V8 beverages; Bolthouse Farms super-premium beverages, carrots and dressings; Garden Fresh Gourmet salsas, hummus, dips and tortilla chips; Plum premium organic baby food; Swanson broths; Prego pasta sauces; and Pace Mexican sauce. 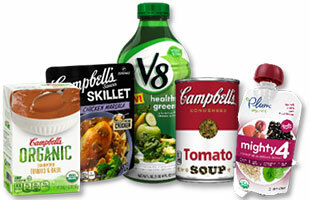 Campbell’s three business divisions are structured by product categories. The Americas Simple Meals and Beverages business includes Campbell’s U.S. Retail and foodservice businesses, Plum, and the company’s simple meals and shelf-stable beverage businesses in Canada, Mexico and Latin America. 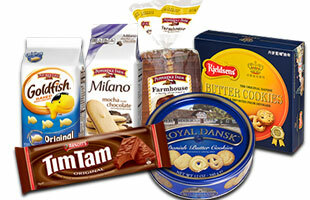 The Global Biscuits and Snacks business includes the company’s Pepperidge Farm, Arnott’s and Kelsen businesses. This division also includes the company’s simple meals and beverage businesses in Asia Pacific and Asia, including its soup and broth business in Hong Kong and China, as well as its Pepperidge Farm U.S. bakery business. 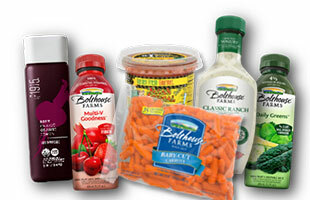 The Campbell Fresh division includes Bolthouse Farms’ portfolio of fresh carrots, super-premium beverages and salad dressings; Garden Fresh Gourmet’s range of refrigerated salsas, hummus, dips and tortilla chips; and Campbell’s retail refrigerated soup business.